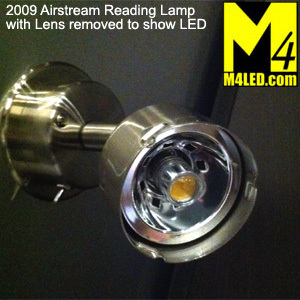 Airstream reading lamp LED replacement. I don’t have these fixtures, but I have a bulb to look at and it’s quality aluminum. 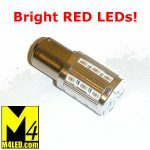 Just like all the LED products from M4. 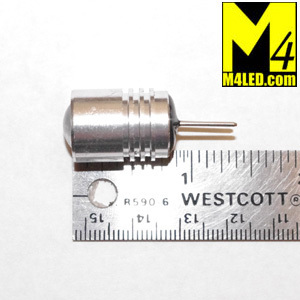 This is a 12 Volt DC Bulb (WARNING: Do not put in normal 120v Normal Household Current Fixture!). A nice retrofit “Corn” light designed for RV use. 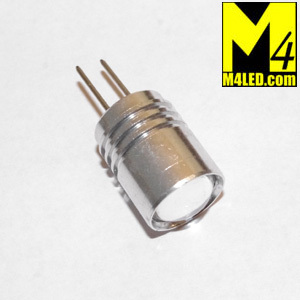 Many RV Fixtures that use this type of screw in bulb have them mounted horizonatally, so this LED has more chips on the side where you need them. 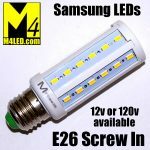 Standard E26/E27 screw in base. 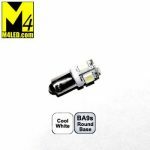 Natural White 4500k light is designed to replicate the look of a standard incandescent. 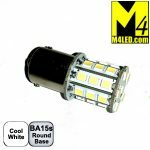 This light is also available in Warm White 3200k if you desire a whiter light.